Our beautiful Keepsake Wax Lantern Candles make wonderful wedding gifts for the Bride & Groom! Our lantern candles also look elegant used as table decorations at your wedding reception making it even more beautiful! They make wonderful gifts for Weddings, Anniversaries, Birthdays, Thank You Gifts, as a Memorial Candle, or for any special occasion! Keepsake Wax Lantern Candles are hollowed out wax candles that include a 6 hour votive candle that is placed in the middle of the lantern. Since the votive is replaced, the keepsake lantern remains intact and never burns, giving a warm, romantic glow to any room! Each one is hand decorated with real flowers, Swarovski crystals or real sea shells! 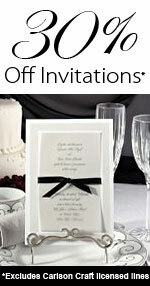 Personalize with the First names of the Bride and Groom and Wedding Date or personalize with your own message with up to 4 lines, 20 characters per line.